Chapter 13 lasts much longer than a Chapter 7 which is usually filed, processed and discharged within just a few months. A repayment plan will last, at a minimum, three years, and five years at a maximum. Most repayment plans will run the full five years to make plan payments the most affordable and to allow you to get caught up on past due balances on your secured debt and service a portion of your unsecured debt as well. But you should know that the repayment plan approved won't necessarily stay the same through those three to five years – particularly if your salary changes. How does the Trustee know your pay has changed? 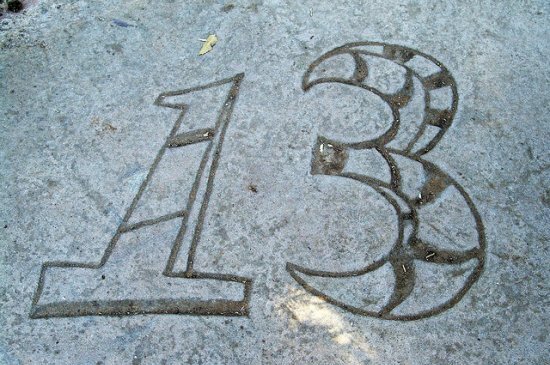 As part of your Chapter 13 case, your attorney will submit a repayment plan to the Trustee assigned. The Trustee will review your income, expenses, debts and other information to determine if they will accept or reject the plan. They may require a modification if the Trustee or court feels the plan proposed does not adequately service your debts. But once the payment plan is accepted, the Trustee will issue a plan confirmation order. This will detail your monthly payments and reporting requirements to the Trustee. The plan may require that you submit annual tax returns or may ask that you immediately notify the Trustee if your income changes. If the confirmation plan is silent on the issue of income changes, you still should notify your bankruptcy attorney so they can decide if the Trustee should be notified. What happens when the Trustee knows your pay increased? It's not automatic that a pay increase will signal an increase in your repayment plan installments under your Chapter 13. If your pay increase also came with an increase in expenses, you may not have to pay more on your installments. For instance, if you got an increase but will now have to drive to a new office so your fuel and auto costs have increased. But if you changed jobs, started a second job or received a sizable pay increase with no corresponding increase in expenses, your Trustee may request that your plan be changed to encompass this boost to your disposable income. When will a pay increase likely not affect your repayment plan? Within the first three years of your repayment plan, a pay increase that dramatically increases your disposable income – not your gross or taxable income – could trigger an increase. But with a pay raise also comes increased taxes and other expenses that may eat into the raise such that it has less impact on your disposable income. In this case, it's likely there will be no increase in the repayment plan. And, after you've paid 36 payments (i.e. three years) on your repayment plan, pay increases after this time will likely not cause a hike in installment payments. Even if your payment plan is increased, your attorney may be able to propose a change to the plan that allows the monthly payments to increase but the length of the repayment period to shorten. It will be a matter of your attorney proposing a workable option that the Trustee will accept if the Trustee demands a payment increase due to increased income. If you have an individual bankruptcy but are married and your spouse gets a pay increase, this also needs to be reported to your bankruptcy attorney along with any increase in associated expenses. This may or may not trigger an increase in your plan payments. If you are behind on your mortgage, car loan, and other bills, Chapter 13 can help you get back on track and keep your assets. This can be a wise approach if you have significant equity in your home that you would lose in a foreclosure. To find out if Chapter 13 or Chapter 7 is the best approach to get your finances in order, contact the Law Offices of John T. Orcutt for a free consultation in Fayetteville, Raleigh, Greensboro, Garner, Wilson or Durham. Call 1-888-234-4181 and ask about zero down bankruptcy specials when you speak to one of our North Carolina bankruptcy experts.